It's one of those expenses that, if you don't follow the rules of the road, will burn a big hole in your pocket. Negotiating cheap car insurance doesn't have to be a struggle that leaves you out of pocket whichever way you turn, but there are car insurance companies that are vying for your custom. As a result, it's difficult to choose a policy that suits you down to the ground, but with varying rules and regulations with each different policy, it can be a minefield to negotiate, so here are some things that you can do to get decent insurance coverage. It's simple really, while we see many commercials that claim to offer us the “cheapest car insurance” available, we go for that, assuming that they are telling the truth. Of course, they might be telling the truth that they are cheap, but are they the cheapest? The thing is that it depends on your own personal driving circumstances. And that means you need to try your luck with many different insurance companies. For example, you might have had a brush with the law recently, which means that if you've had a court summons for a traffic violation, many insurance companies won't want to touch you with a barge pole. But on the other hand, there are insurance companies that will take you on. But if you've got problems getting insurance with a company that is reticent to cover you because of a small traffic violation, then it's not worth pursuing that avenue anyway, because the payments will be very high and you will be subject to a lot more terms and conditions! In most states, your credit score is one of the defining factors in the quotes you can get. There are three exceptions to the rule; Hawaii, Massachusetts, and California don't let insurance companies take the credit score into account. If you have poor credit, your car insurance costs could increase by hundreds of dollars a year. So, before you even consider shopping around for a policy, look at rectifying your own credit score. This means paying your bills on time, and if you've got outstanding debt, look at settling it through debt consolidation means, or come up with a personalized debt plan to help pay everything off. There are some methods to help apart from debt consolidation, the debt snowball method might benefit you, where you pay off the smallest bill first, and then proceed to pay each one in turn until they're all paid off. In addition to these methods, it's always beneficial to look at your spending habits. This is always going to have a negative effect on your credit score if you are unable to repay the creditors. There isn't one type of policy to cover all types of drivers; there are some which will cover you just fine based on your usage. If you don't log many miles, you could think about a usage-based insurance policy. Providers like Allstate’s Drivewise allow you to track how much you drive, the times of day you use your car, and the quality of your driving. In addition to this, there are some aspects of your coverage that you couldn't avoid. Collision and comprehensive coverage are two things that are limited by the value of the car. So, if you've got an older car, you wouldn’t necessarily need to get this coverage if your car has a low market value. The benefits if you are looking for policy and are looking for a car at the same time is that if you can get a cheap car, you can get cheap insurance! Granted, this could leave you with issues relating to the car itself, but despite this catch-22 situation, you will still end up with cheap insurance. Hopefully, you would have done this when shopping around for a suitable policy. But, it's important to remember that there are many insurers that provide various discounts. A few of these discounts include ones for customers who have multiple cars but insure them all under the one policy. You could choose to receive the documents online as opposed to through the post, can put their car insurance with other policies like homeowners insurance, but also if they can pay their insurance premium in one lump sum for the entire year, or for at least six months at once. But for all of these discounts, it's best to look for a policy that suits you, rather than one that appears cheaper on the surface. Some factors can affect your policy depending on where you live, but it's also important to look at local insurers. Instead of going for a big named provider, if you can find a smaller, locally run business, not only will you get better customer service, but the perks may be more beneficial for you, and will be more affordable. Regional insurance providers tend to have higher customer satisfaction ratings, so you are pretty much guaranteed a better service for your money! In addition to these, consider your own driving history as a major factor. If you have had issues with the law before, your insurance costs can rise, and even if you had just one ticket before, the cost could rise, but there's no way to say by how much it will rise. 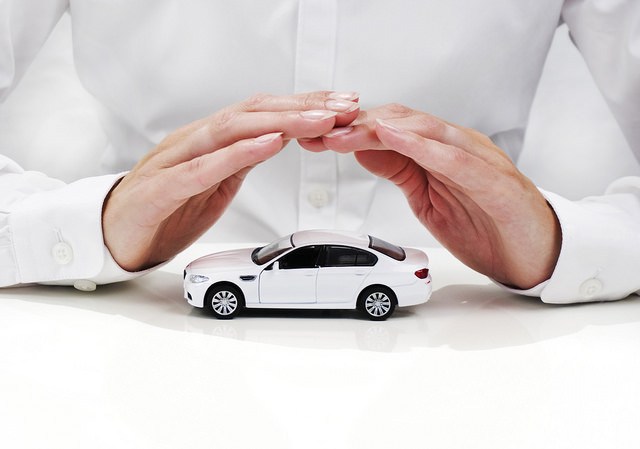 While car insurance is a major cost in keeping your car on the road, it's an essential one. And one of the big things you need to consider is your own skills as a driver. While we don't like to think that our driving can cause accidents, you never know what's around the corner, so when it comes to looking for the best insurance policies, follow these rules, and try and reap the benefits. And, of course, as if it doesn't need saying, follow the rules of the road and be a safe and considerate driver! While it's something that may not own you respect on the road, especially during rush hour, it's going to save you a lot of money on your insurance!